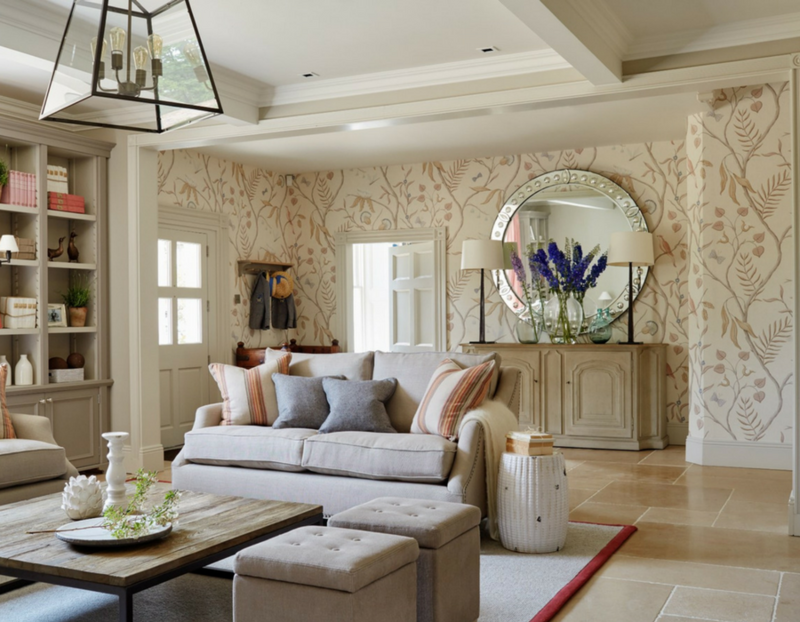 Set in idyllic English countryside, this seventeenth century property epitomises the essence of modern rustic interiors by Sims Hilditch who are longstanding clients of ours. 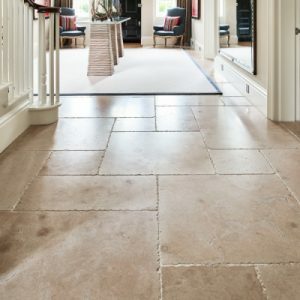 We supplied Buscot limestone in a seasoned finish for that timeless quality. 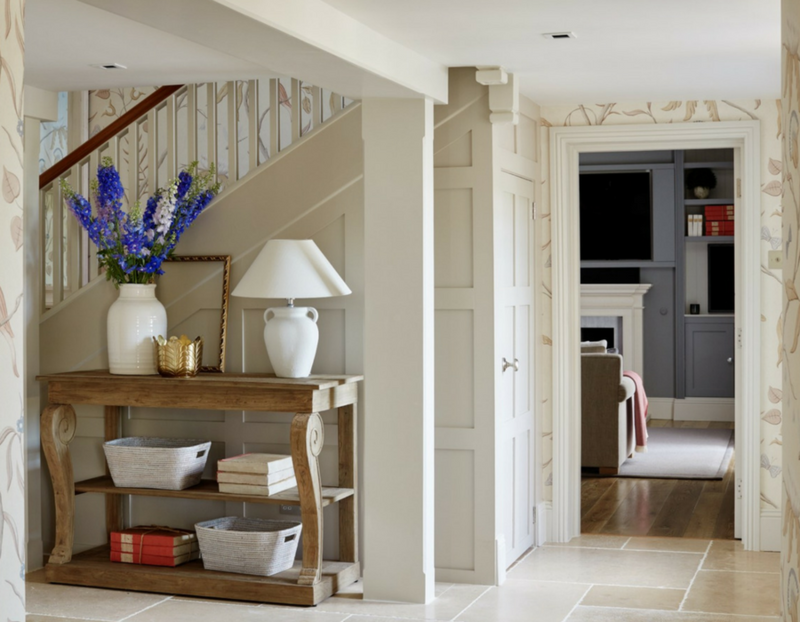 The neutral tones and roughness of the stone add a beautiful, organic feel to the space. Set in an American pattern, the uniform flagstones reduce wastage. 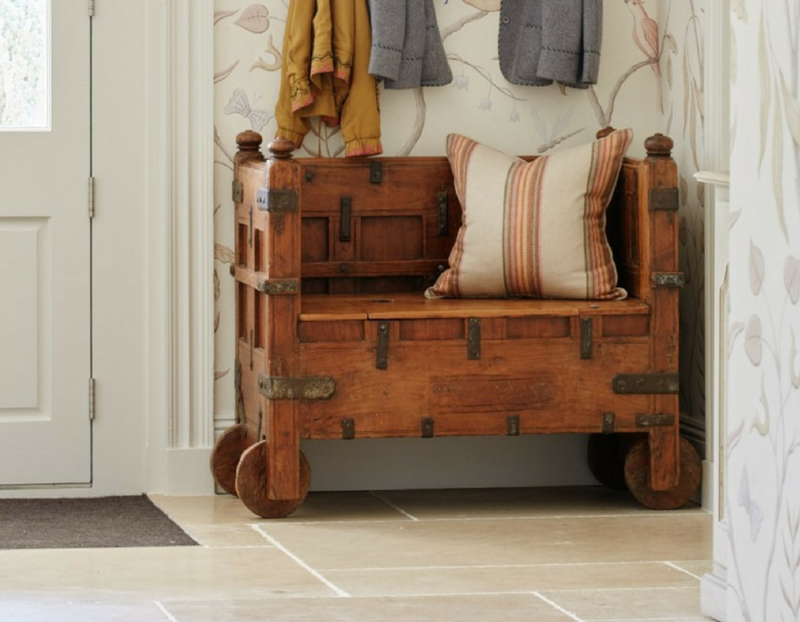 The limestone flooring complements the English botanical wallpaper and fabrics.